It’s never too early to look ahead to the 2018-’19 basketball season, which ought to be an intriguing one. 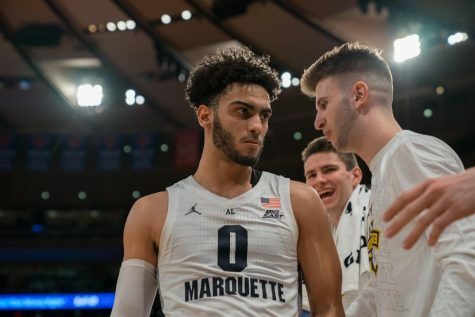 A bevy of returners and several intriguing new players, coupled with a mass exodus of proven talent from the BIG EAST, should place Marquette the near the top of the conference. Next year’s team will likely be defined by its depth as much as the last two seasons were defined by 3-point shooting. 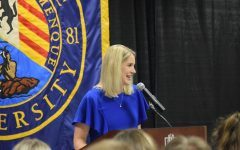 Seven of nine scholarship players to play in at least 33 of 35 games this season are expected to return to the team, which should give the Golden Eagles at least one experienced player at each position. 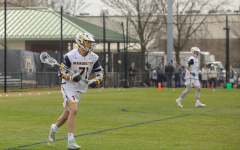 Those returners should make it a lot easier for Marquette to integrate freshmen forward Joey Hauser and shooting forward Brendan Bailey. Now it won’t be as big of a deal if an unexpected injury pops up. Getting big men Ed Morrow and Ike Eke off the redshirt list will solidify a rotation that could go as much as 11 deep before even accounting for potential transfers or new recruits. Although Andrew Rowsey won’t be at Marquette next season, the team should still be above average at 3-point shooting. 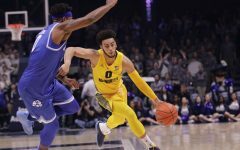 Juniors-to-be Markus Howard and Sam Hauser, who combined to hit more 3-pointers (206) than 62 Division I teams, are both returning to next year’s squad. 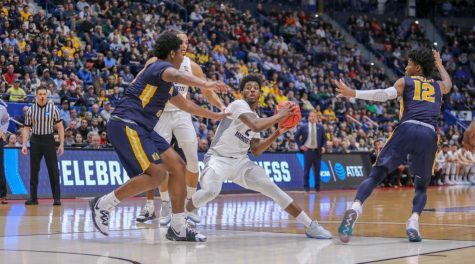 Marquette fans should also keep an eye on rising sophomore Jamal Cain, who hit threes at a 47.3 percent clip this past season. 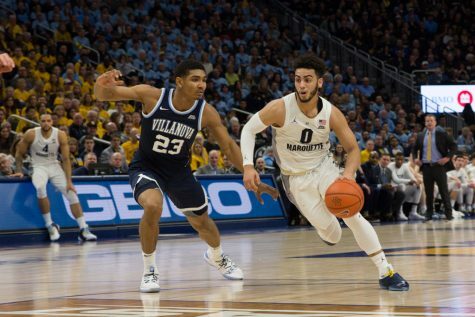 Unlike this year, Marquette’s offense will be more than just launching 23-footers. Joey Hauser and Morrow can both post defenders up, grab defensive rebounds and wear opposing front lines down. 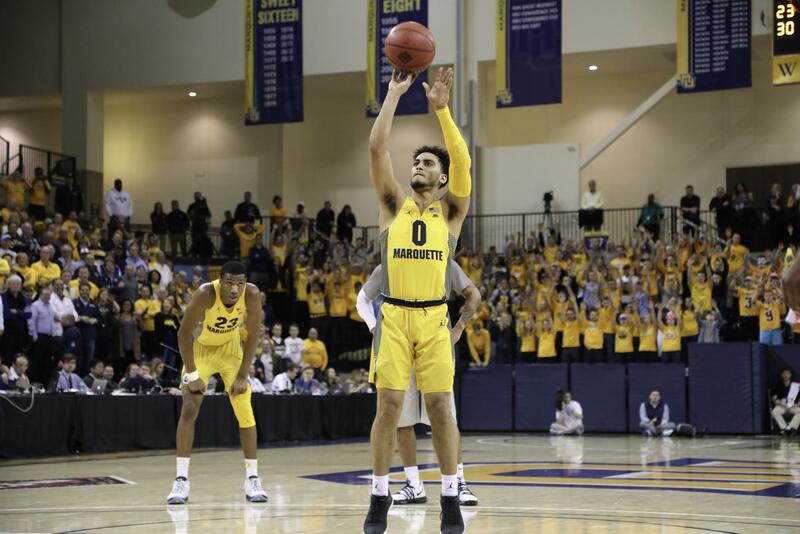 If rising sophomore Theo John can assert himself more while staying out of foul trouble, Golden Eagle fans can expect to see a dynamic, deep frontcourt that will have a measurable impact on every game. Matt Heldt will also provide stability as a senior center who started 32 of Marquette’s 35 games. Although it’s a pretty strong possibility that Howard becomes better at managing the offense over the offseason, the question then becomes whether the coaching staff even wants Howard on the ball. A decent percentage of his threes came off of catch-and-shoot opportunities, something that probably wouldn’t happen nearly as often if he had the ball more. Even if Howard plays on the ball and is able to generate his own looks while facing increased defensive scrutiny, he’s the only ballhandler on the team. 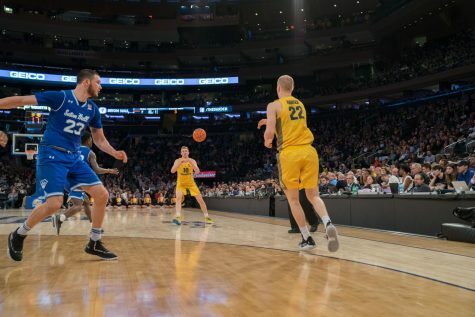 Marquette fans who watched the end of the team’s NIT games against Harvard and Oregon saw what happens when the backcourt gets worn out: plenty of sloppy passes and turnovers. Getting at least a second guard via recruit or graduate transfer will be vital. Then there’s the issue of defense. 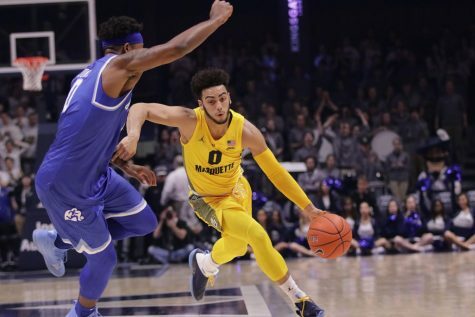 While it shouldn’t be nearly as bad as it was in the last two years, Marquette’s on-ball guarding comes with lots of question marks. Do physically gifted underclassmen like Cain and Greg Elliott take a step forward in their technique? Can Morrow shake off a year of not playing and guard other teams’ best big men? Who gets regular playing time at the two-spot next to Howard and can he stand his ground for 30 minutes per game? It’s too early to declare the defense a for-sure weak point, but it’s certainly far from a strength. The BIG EAST Conference is likely not going to be as strong as it was this season. 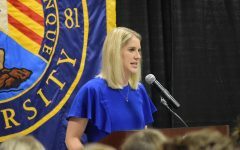 Of the 14 players that won an end-of-season conference commendation (All-first team, All-second team or honorable mention), seven are graduating. 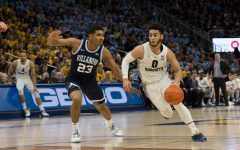 Another four – Creighton’s Khyri Thomas, St John’s Shamorie Ponds and Villanova’s Jalen Brunson and Mikal Bridges – have been generating sizable NBA Draft buzz and have varying likelihoods of leaving college early. 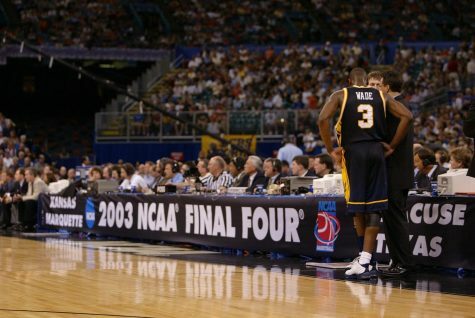 One of the remaining three players that were named to the list, Howard, plays for Marquette. By comparison, nine of the 14 2016-’17 BIG EAST honorees returned to play another season, and none of them were Marquette players. This wouldn’t be such a big deal if the conference were reloading with a strong recruiting class. That’s not necessarily the case. Only six of 247Sports’ top 100 recruits are playing at BIG EAST programs next season and three of them are going to Villanova. 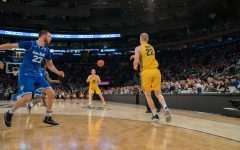 While players outperform their high school rankings all the time, the data points that exist so far do not indicate that the influx of freshmen will be enough to replace the wave of outgoing talent. 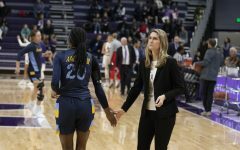 If it came to pass, an easier conference would be both a blessing and a curse for the Golden Eagles. 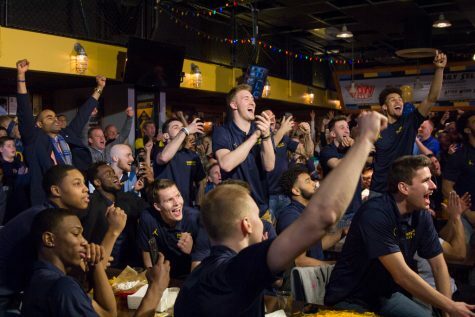 Racking up wins in January and February becomes a lot easier, but the NCAA Tournament selection committee may not consider those wins to be as meaningful. Still, for a program that has made the tournament only once in the last five seasons, a down conference year might be a welcome change. 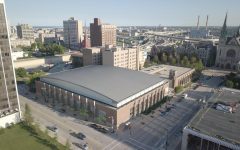 With Australian forward Harry Froling leaving the team, Marquette has two scholarship spots open for next season. The first priority is getting a true point guard. Most Class of 2018 guys are already taken at this point, which means Marquette will likely need to try for a graduate transfer that is eligible next year. Joseph Chartouny, a Fordham University transfer with one year of eligibility left, would fit nicely on next year’s team. He assisted 28.9 percent of all Fordham buckets made while he was on the court and ranked second in the country in steal percentage. Best of all, he’s 6-foot-3, which provides a taller backcourt presence to balance out the 5-foot-11 Howard. 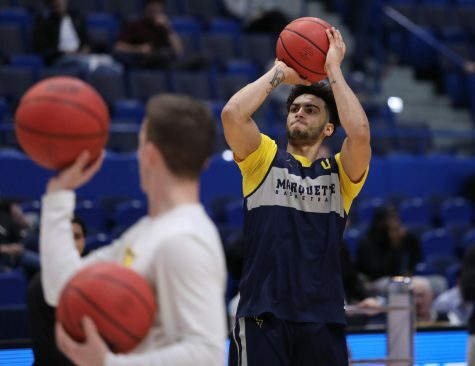 If Marquette lands Chartouny or another grad transfer to fill the point guard spot, there are a couple of different directions to go in after that. The Golden Eagles could chase a regular transfer that would have to sit out a year. 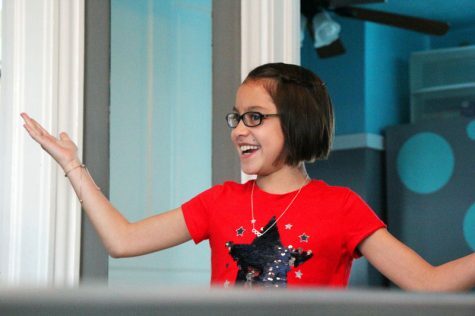 They could try to go after a late-blooming 2018 recruit, like they did with Elliott last year. Or they could just pocket that scholarship and keep it open to sign a 2019 player. 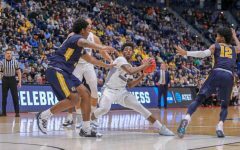 Either way, the blue and gold are just some backcourt help away from possibly becoming a bona fide NCAA Tournament team in 2018-’19.